Made with unique Biosome5 technology, the Jurlique Nutri-Define Multi Correcting Day Cream boasts a lavish texture which deeply moisturises the skin to leave you with a soft, supple and toned complexion. It uses an innovative blend of rapeseed and squalane oils to mimic the skin's natural lipids whilst amino acids and vitamins works to re-balance the skin and provide long lasting nourishment. This daily cream also fights against the signs of ageing, increasing elasticity and softening the skin to leave your complexion looking and feeling years younger. K.D. Excellent moisturiser, smells lovely and is great for sensitive skin. 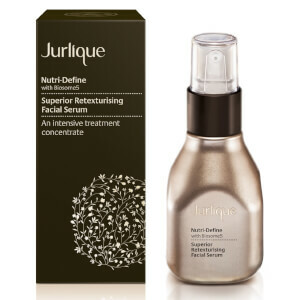 This is my new fav and I have to purchase it on blackfriday because I really need a backup of this Nutri-define collection.My skin is very dry and sensitive, easily irritated.I have used the famous Cream de La Mer which has been hyped for sensitive skin recovery.But I have to say Jurlique done better jobs on my skin.My skin hardly had any rashes or eczema while I was using this,which is unusual.Even I had small irritated areas,I applied the over night cream and the next day i woke up with much smoother skin.Then followed with this day cream.Usually it takes one day to make my skin back to normal,if the irritation is not very bad.This is so amazing!And the blackfriday discount made them even more affordable! This cream is a real treat to try! If you're looking for a cream to help fight ageing and leave your skin looking lovely and feeling great! Pick this beauty up! After using this day cream my skin has never been better! I can't get enough of it! I never usually like day creams as I think they're too heavy but this is light and leaves my skin looking beautiful!